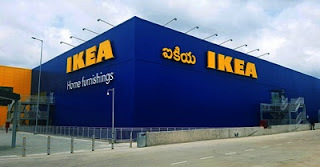 IKEA India, the Swedish home furnishing retailer is now planning to start its operations in Mumbai with the intentions to create 10000 jobs. IKEA plans to enter Mumbai with a large format store, city centre smaller stores and e-commerce offerings by 2019. The 10,000 jobs will include 5,000 direct and 5,000 indirect jobs in Maharashtra alone. "The first big format store will be in Turbhe, Navi Mumbai and will employ 1000 direct co-workers and 1500 indirect co-workers for various services," stated the company's release. The company intends to employ 50 % women at all the levels. “We are very excited to meet the many talented people of Mumbai who will bring their uniqueness to IKEA and strengthen our values. We would like to welcome all those who share our values to join us,” Anna-Carin Månsson, Country People and Culture Manager, IKEA India said. IKEA offers policies such as daycare facilities (DAGIS), parental leave policy, transport policy, competence development, mentoring, pension plan etc.